This is our rustic foosball series. 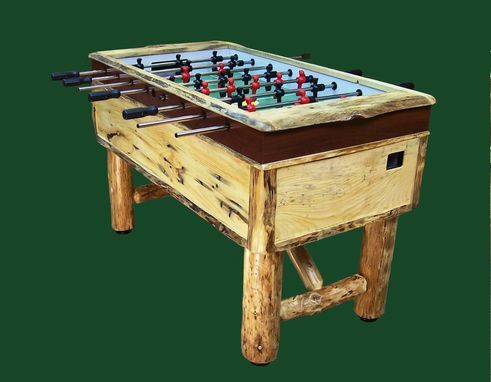 We take an existing commercial grade foosball table and encase it in a variety of differing wood types to make a unique table soccer experience for your home. 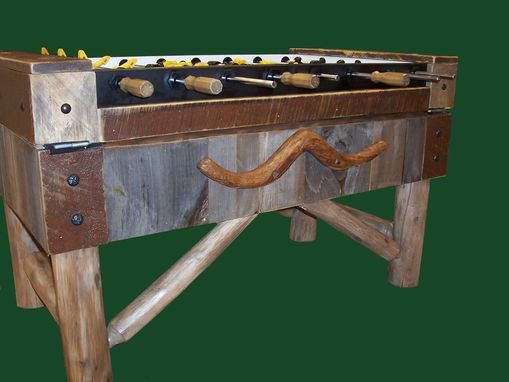 Whether it is pine, cedar, or even barn board, this table will have your guests jumping right out of their socks! All tables are commercial grade quality, so even the most rough and tumble players will find the rods have a smooth spin and a solid grip.